APG Vasario 1616 - 16.2" W x 16.3" D x 4.3" H, 320 MultiPRO Interface for all 24V printers and terminals, Stainless Steel Front, Dual Media Slots, Standard Fixed 5 bill/5 coin till. Order cables separately, see accessories. Color: Beige. 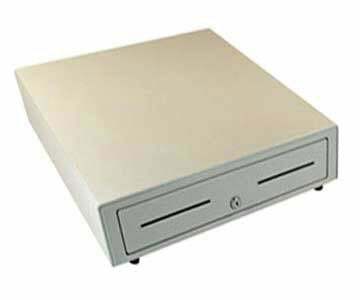 The APG VBS320-BG1616 is also known as APG Cash Drawer	APG-VBS320-BG1616	or VBS320BG1616	.